Survival Seed Vault Just $15 Down From $40! 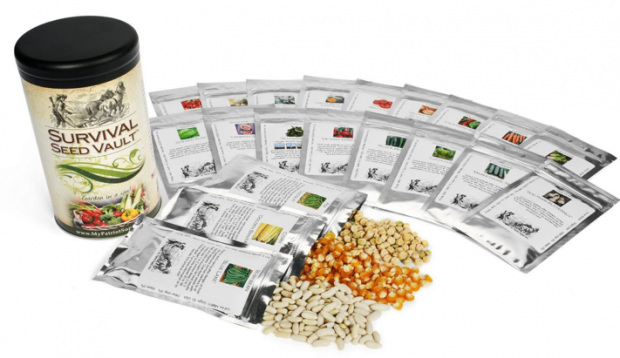 You are here: Home / Great Deals / Amazon Deals / Survival Seed Vault Just $15 Down From $40! Do you have a green thumb? Get Survival Seed Vault For just $15 down from $40 on Amazon! Get yours now while it lasts! Survival Seeds Rated For 5+ Years Of Storage At 75 Degrees F, Even Longer At Lower Temperatures. Each Seed Vault Is Hand-inspected And Packed By Our American Staff To Ensure Quality. Includes Detailed Survival Seed Saving Instructions.